Welcome to USA Silo Services, Inc.
A Division of the Marietta Group. In 2017, USA Silo Service, Inc. joined The Marietta Group to provide customers with full-service silo and bin design, construction, inspection, repair, cleaning, and maintenance services under one roof. For almost three decades, USA Silo Service has been a solid industrial silo cleaning/bulk storage clean-out company in the United States. Throughout the industries we serve, our company is a valued resource. Our clients know that we will strive to deliver quality silo and bin cleaning service, economical pricing, and quick mobilization. 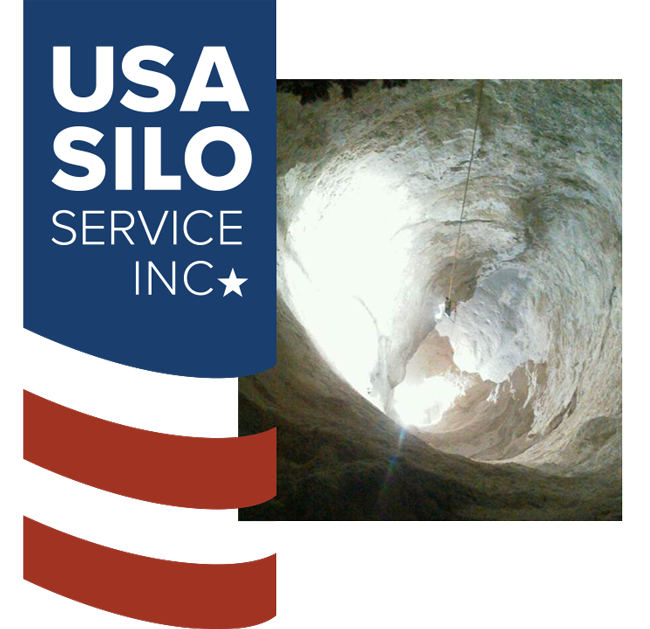 USA Silo Service delivers results that meet your specific expectations without cutting corners. It is this approach that has earned us a positive reputation. We work hard to maintain a reputation of respect within the Silo Cleaning and Bin Cleaning Industries. We use a variety of cleaning techniques to ensure quality results. We provide cleaning services for storage silos and bins in a variety of industries. Our cleaning methods have been carefully honed over nearly three decades in the industry. We provide the fastest and most efficient technology available to ensure you receive the greatest return on your investment. We can do in three days what our competitors do in five, saving you thousands of dollars. Our enhanced compressed air system with proprietary cleaning head delivers twice as much material removal capability when compared to conventional methods. Thorough, efficient cleaning helps you get back to optimum production and storage capacity faster. Learn more about our silo and bin cleaning, repair, and maintenance services.